It is a story about a Roman soldier, Marcus Lucius, son of the great warrior Maximus, who protects his friends (Appius, Octavian) and falls in love in Julia Fabia, while he is on the way to revenge his killed wife, Decima. It’s a story with many risky actions, intrigues and it’s about friendship, loyalty and of course love. It’s set in the times of the emperor Hadrian. I read it and I liked it a lot, but LOVEFOOL Saga is for me even better. What I was surprised of was the end. There was a lot of action, mysteries and intrigues. I loved it. I was like the BBC series about the emperor Claudius. I think everybody would be pleased to see it as a movie (like Gladiator with Russel Crowe) or a series. It’s very good written, fluently and lyrically. I loved the battle scene. It was impressive! It sounded like music! Like a symphony! Awesome! There is a lot of historical background, but it’s not depressing. There was a special code between the two of them. Maybe it was due to the fact that they both learned under the command of Appius. 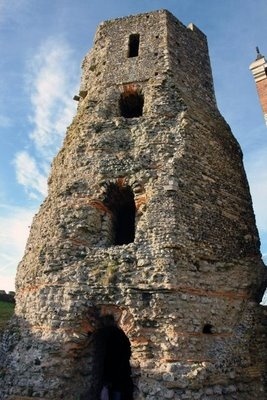 When they arrived at Gesoriacum (also Bononia), a Roman port city on the English Channel important for Classis Britannica, where Caligula stayed over, before he travelled to the island, Julia saw a light house built based on directions of Caligula. Julia had already seen some port cities in her life, but she was always impressed by the great architecture and technical progress of the Romans. When Octavian stepped into the wagon, Julia retreated to the furthest corner as she usually did. He was convinced that she was scared of him and he didn’t intend to hurt her at all. He noticed some bruises on her arms that she got after he pushed her away twice, and he was ashamed of it. He didn’t apologize, because he simply couldn’t find suitable words. However, Julia wasn’t scared, but rather ashamed that she wasn’t able to say Octavian how sorry she was for her silly resistance. This time, there was no routine in Octavian’s acting. He stayed in the middle of the wagon watching Marcus Lucius sleep. -We’ll go to the ship directly. – He said silently. -A ship? – She seemed to be worried. -Yes, it’s the fastest way to get to Eboracum. – Octavian confirmed and started at her curiously. He wondered what scared her more: he or the suggested means of transport. – If we would stay here, on the land, we would have to stay in the camp over night. The probability that we could be demasked is higher here. On the ship, you’ll get a cabin and have your privacy. Ina few minutes, my men will come here and you’ll get a litter carried by local slaves. We’ll put Marcus Lucius on it and you’ll get the second litter. Octavian’s had a determined look, but not as cold as usually. Julia wondered what happened to him in the last days. -I don’t need a special litter. I’ll go next to him. Octavian wasn’t happy about it, but he didn’t intend to argue with her. He nodded once and stepped closer to Marcus Lucius. Within seconds, he woke the wounded man up and described the situation to him. Marcus Lucius showed his understanding of the plan. -Are you doing better? – Octavian asked quietly, almost too quiet for Julia to hear. Marcus Lucius nodded slightly. There was a special code between the two of them. Maybe it was due to the fact that they both learned under the command of Appius. Maybe it was just a sign of their special predisposition to understand each other. Julia stood just a few steps away and didn’t understand the communication between them. She waited for the litter and then, as it was brought, she observed how Octavian helped to lift Marcus Lucius and shift him on the litter. Then he came to Julia and took her widest ribbon away. She wondered whether she should start struggling or let Octavian do what he wanted to do. As he went away with the ribbon, she was confused. She wanted an explanation, and got it in form of his action. Octavian put the ribbon on Marcus Lucius’s head and covered his face with it. The material was transparent enough to let him breath, but it didn’t allow strangers and uninitiated people recognise the face. Even though the litter had a kind of baldachin protecting Marcus Lucius from the unknown witnesses, Octavian wanted to double the protection. It wasn’t just about the one wounded man, but about possible collateral damages involving many people, who were important to Octavian. He, personally, accompanied the litter to the ship and noticed how insecure Julia’s steps became the closer she came to the water. It was possible that nobody else noticed her tentativeness, but Octavian saw the girl already a couple of times in different situations and was able to judge whether she felt good or not while doing something. Even if he was just few meters away from her, he was able to feel her tension. Therefore, he wondered what happened next. As Julia’s fragility increased and her legs became shaky just some centimetres in front of the wooden, provisory bridge between the ship and the land, a hand came out of the material curtain of the litter’s baldachin. The strong, determined fingers grasped Julia’s dainty hand. Marcus Lucius hold her carefully, but decisively. She wasn’t able to see his face, she wasn’t able to speak with him, but they communicated in the most secret way every human being could use: it was intuition and empathy. Or, you could say it was Marcus Lucius’s highly developed, sharp sense of observation. Julia didn’t oppose and she didn’t change her mimic. However, Octavian saw a sign of relief in her eyes. She looked anxiously around every now and then, but her step became steadier and less shaky. She held Marcus Lucius’s hand as strong as she could. It was hard for her to let lose when Marcus Lucius had to be brought to the cabin and lifted onto the bed there. She was unsteady and waggly again, leaning on the wooden walls of the ship, thinking about every step. The ship wasn’t sinking. It almost didn’t move, but she acted as if the end of the world would come any moment. Octavian made sure that Marcus Lucius laid safely in the bed and wasn’t recognized by anybody, then he sent away all guards and slaves from the room. They passed Julia on the stairs and greeted her for goodbye. She didn’t answer and kept grasping on any kind of stable surface. She trembled and was convinced she would vomit immediately. As the last person passing by, Julia saw Octavian. He didn’t pass her, but stretched his hand out to her. It was a peaceful offer, but Julia didn’t easily accept it. -I don’t need your help. – She sounded proud. -You do. Come along. – He answered in his typical cold way. It was like ‘open, O sesame’, a magical phrase in the story of “Ali Baba and the Forty Thieves” from One Thousand and One Nights. Julia stood frozen for a moment showing disbelief, then, she stretched out the hand and allowed Octavian to help her. His hand was rough as Marcus Lucius’s. Surprisingly enough for Julia, Octavian was warm and pleasant to touch. She wondered when the resources of ice melted and changed into a pleasant surface. Octavian accompanied her to the cabin’s door. He was pleased by her touch. Even though she didn’t look at him and rather followed the wooden bars, he savoured her closeness. She smelled good, even though she didn’t wash herself for days. Her hands were dainty and he could feel her bones. He wondered whether she was so bony from the moment he met her. She didn’t look well, but it could be caused of her anxiety of being on a ship. He couldn’t understand it, but he knew even soldiers who were scared in such situations. Marcus Lucius nodded and left the camp every day with a good feeling about the progress of the legionnaires. The less amused they were about the trainings the more convinced Marcus Lucius was that Rufus’s methods were right. Marcus Lucius nodded and left the camp every day with a good feeling about the progress of the legionnaires. The less amused they were about the trainings the more convinced Marcus Lucius was that Rufus’s methods were right. Relieved and with a short movement of the hand, Marcus Lucius indicated to Nerva to follow him for the second round of patrolling. They got new horses and rode away. During the first days, the locals were very suspicious about the two strangers on horses. The rumours spread like thunder and some residents from the villages walked miles to see the Romans suspicious to them. At first, Marcus Lucius could only understand single words. Then, he understood the context, even though he wasn’t able to listen and grasp every word. He wasn’t sure when he had learnt the local language. He could make out at least three dialects. It was possible that he had inhaled the unknown language when he was a boy. He didn’t grasp it with purpose. The local inhabitants commented louder and louder what they were thinking about the soldiers with the shiny helmets. 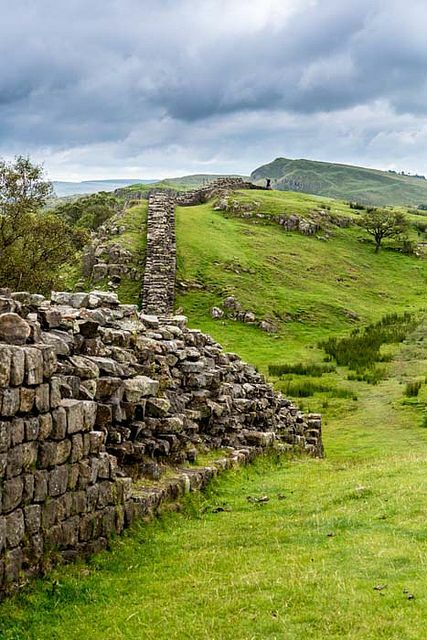 They nagged about the missing security and the guff of having a Roman camp so close to their houses and so unpractical for protecting the people from the tribes from the North. They were afraid of increasing incidents with the men from the North. They wished to have more protection, and if the Romans would not protect them, then they didn’t wish to have them around. The popular discontent ruled in the eyes of the locals. It sounded the same way disharmonious like the preference of Prokofiev for daring dissonances and unusual chord combinations. 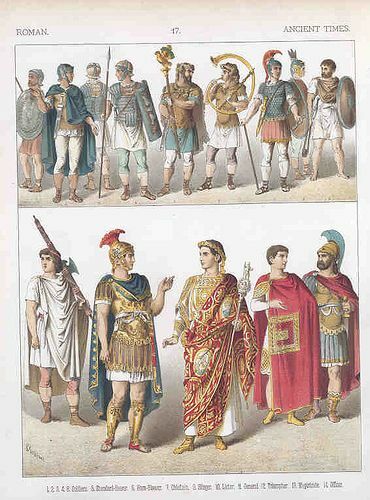 Marcus Lucius and Nerva didn’t comment on anything, they didn’t exchange any remarks while patrolling. The locals were loud and visibly showed their unhappiness while standing in the doors of their small, stony, houses with thatched roofs. Marcus Lucius listened carefully and Nerva couldn’t lose the impression that he was planning something. It was unusual for Marcus Lucius being quiet for so long. He didn’t utter any welcoming words or any commands. His orders were communicated with limited gestures. It was a very uncomfortable state and Nerva hoped it would change soon. He was not the greatest listener himself, but he needed contact with others as every human being. After two weeks of mutual observation without talking, something strange and unconventional happened. At first, he took walks. Octavian wasn’t satisfied with Marcus Lucius’s efforts and found it too strenuously to exercise so soon with fresh wounds. However, he accompanied Marcus Lucius who was determined to start exercising. Together, they walked towards the woods, then they went along the line of trees. Finally, they reached the moors in Southern North. They changed direction and went some hundred meters towards the West and came back to the villa from the North-Western side. They were followed by three or four of Cornelius’s legionnaires, even though they kept their distance. At first the walk took the whole day due to many pauses. In the first days they walked for almost twenty to twenty five kilometres. Octavian niggled every time they left the mansion and it was rather a sign of care than complaining about exertions. For him, the walks were rather a nice diversion or supplement to the normal trainings. Nerva, if he was in the villa, took it more easy and with humour. Therefore, Marcus Lucius preferred to go out with Nerva. They could talk every now and then, but mostly, they just savoured the silence of woods and the green, wet nature around them. Later, Marcus Lucius wanted to discuss this and that with Octavian. There were so many possibilities to talk about so many things. But instead, they kept silent and Octavian breathed heavily, because he was slightly offended by the fact that Marcus Lucius didn’t listen to anyone. Marcus Lucius’s wounds could break open easily after too much exercise. At the beginning his breath was regular but started being irregular when they reached the tenth kilometre. His hands weren’t sweaty, but his back was wet and he could get easily cold or catch a fever or chest symptoms. However, pneumonia was regarded as “the captain of the men of death” by William Osler in the 19th century only. 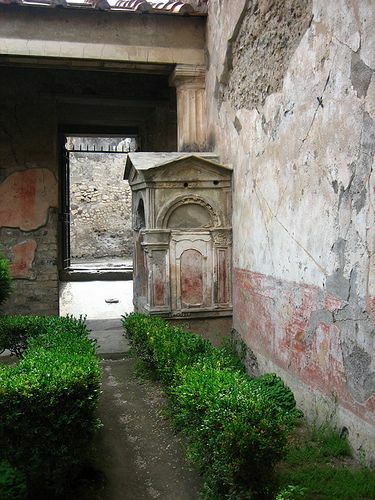 In Roman times, it wasn’t known that infectious agents include bacteria, viruses, fungi, and parasites. There was no antibiotic therapy that radically improved the survival of infections. There were undefined, invisible, moody gods, who decided spontaneously who would survive and who would die. It was like in today’s third world that pneumonia remained a leading cause of death no matter of the age. Octavian didn’t raise the topic of death rates and more care about the own health, because it wasn’t supportive to Marcus Lucius. Therefore, Octavian was totally unsatisfied about the trips they made. Normally, he would appreciate the walks through woods, because it was indeed relaxing and kept him in shape. He didn’t like to be involved in the first line of attack on the battlefield. He rather stayed at the back and waited for the last offenders, who would break the lines of defence. It wasn’t easy to stay calm and look powerful when the soldiers you knew were fighting. He was seen as the last man standing. Then, he didn’t like the Britannia. He preferred the warm lands of the Roman Empire. There, he could sleep during the nights without needing a blanket. There, he could eat meat the way he loved it. Britannia was just good for two reasons. One, he appreciated the trust of Appius. This mission was the best proof that Octavian was the solid, reliable man, he always wanted to be. Two, he was close to Julia. He was entranced by her from the very first moment he saw her. She was Appius’s guest, who practically hosted an old friend and new husband in one person. Octavian heard some stories about Maxentius’s miserable army career. There was a story that Maxentius held a sword like a girl. There was another story that Maxentius was scared to death when he was supposed to go to his first battle. When Octavian saw Maxentius for the very first time, he noticed the extremely tender, but wrinkled skin of a man, who dabbled with battles, but had enough power to beat a weak and defenceless being. Octavian had already seen beaten women, while they rested as a team in different places. He noticed women visiting their man, soldiers, who were stationed in camps, and overreacting after days or weeks of broken contact to their families. Octavian observed how much these women suffered in silence, how their eyes became dashed off and how their moves lost the vigorous dynamic. The same symptoms, he noticed with Julia. She still had a kind of fire, but it wasn’t a fire that could burn for ages. Instinctively, he wanted to protect her. His first reflex was to kill the man, who was supposed to watch over his own wife. Affected by unexpected emotions, Octavian got shaky hands. He noticed that Appius registered the tension, but not the reason behind it. Sending Octavian as the leader of the convoy to Britannia could have two different explanations. Either Appius knew what really happened in Octavian’s mind and wanted to him to learn a lesson or Appius knew that of all soldiers, Octavian would fulfil his task with the strongest motivation. Either way, it showed Appius’s trust in Octavian. After a month, the walk took just the half the time and Marcus Lucius started his first trainings in the back yard, when he came back to villa after noon. The signs of autumn were already present outside and it wasn’t clever to leave the villa for a longer while, if it wasn’t necessary. The days became shorter and the amount of water in the air increased. It was too unpleasant outside. The danger of slipping combined with the probability of the wounds getting worse was too high. For that reason, Marcus Lucius shortened the march distance and spent more time in the inner yard, where he trained at least three hours a day. Octavian welcomed it. An air of nervousness and insecurity was around during the entire afternoon. Marcus Lucius didn’t agree to the plan until Julia asked him to trust her. -Julius didn’t tell me much about you. Marcus Lucius was almost sure that the idea of pretending to be Maxentius was a complete flop. He was sure that the hint was a part of a series of checks to identify and confirm the real nature. Apparently, the puzzles of information that Cornelius had about Maxentius didn’t match. -Everyone says it to me. – Marcus Lucius lied without batting an eye. – It’s the marriage, I guess. Cornelius seemed to be relieved and somewhat happy about how the situation developed. Marcus Lucius judged that he was convincing enough. He couldn’t remember Maxentius at all. He saw a dead, bloody body dressed according the status of a noble, Roman man. There hadn’t been enough time to look at the details and then, Marcus Lucius was too injured. He had never spoken about Maxentius with Julia or Appius’s soldiers. It came to his mind only in the moment when Cornelius marked his hands. Marcus Lucius regretted that he didn’t take it into consideration. It could disturb the entire plan. After waiting a moment, Marcus Lucius had the feeling that Cornelius was all right. He couldn’t be sure about it, but his intuition that saved him from getting killed for years told him quietly to trust that Cornelius accepted the remark as being true. Fortunately, the statement didn’t have any consequences. However, it was a bad sign and Marcus Lucius didn’t want to risk nothing else. With an unsettled look, he went through the main room of the house, a broad, stony lobby, and gazed at Octavian every now and then. They didn’t exchange a word, but they were both edgy. Julia stepped into the room covered in a blanket and with question marks in her eyes. -How did it go? – She asked and Octavian summarized the meeting with Cornelius. She hardly remembered the uncle, who was in Britannia for years already. As far as she knew, Cornelius rather stayed in Londonium, where he could easily take a ship and travel to Rome anytime. Octavian explained to her that Maxentius was supposed to take the leadership in Eboracum and Cornelius was there only temporary. The last tribune in Eboracum was killed in fights with local warriors. Generally, it was a safe area, but every now and then, some dangerous groups from North Britannia attacked Southern Britannia. 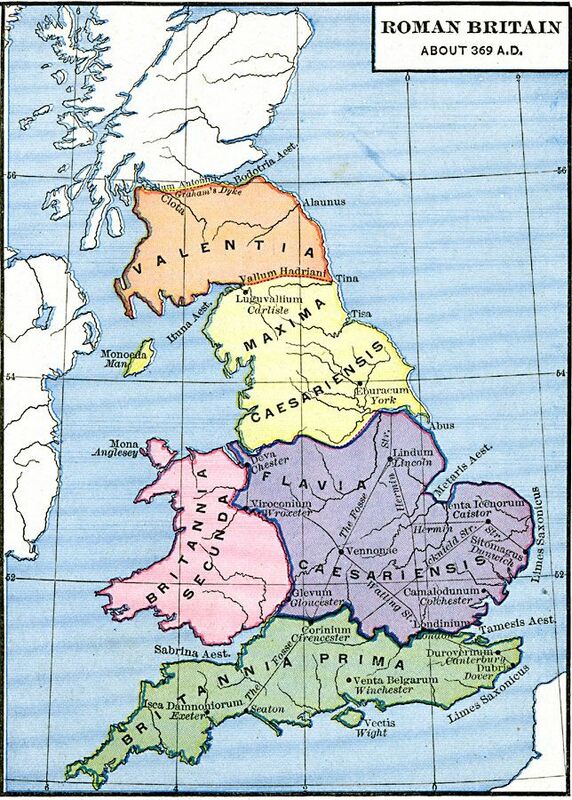 Eboracum and Deva were the last camps located at the farthest ends of the empire. They marked the border and were left at the mercy of the more or less peaceful attitude of Barbarians. -So, we’ll prepare the dinner. My uncle wasn’t present during the wedding, so he doesn’t know how Maxentius looked like. -Still, his soldiers could recognize Marcus Lucius, because he looks similar to his father. Maximus spent many years in Britannia and it’s probable that one of Cornelius’s guards will find out about our masquerade. Wearing a helmet in the lobby would raise too many questions. Additionally, nobody knew how to cover Marcus Lucius’s face. Bandages were allowed, but inconvenient. The creepiness of the situation couldn’t get worse in Julia’s eyes. She had to put her mask of political correctness on and behave properly. -The only solution is having the dinner without Marcus Lucius. – Julia spoke aloud what nobody dared to say. – When he won’t be here, he won’t be recognized. -How do we explain it all to Cornelius? -I simply say that the way up to here and today’s talk was too exhausting for my husband. It’s probable enough, isn’t it? Marcus Lucius and Octavian kept silence. The first convinced man seemed to be Marcus Lucius. -It is. If it won’t work, then we have to prepare an alternative plan. – Marcus Lucius said. – And don’t forget the wine. I send a slave to bring as much wine as possible. Cornelius’s glass should not get empty. An air of nervousness and insecurity was around during the entire afternoon. Marcus Lucius didn’t agree to the plan until Julia asked him to trust her. He wasn’t sure whether she was right, but she insisted to follow her plan. Marcus Lucius was able to fight against the entire world, but he wasn’t able to start a fight with the girl. She had a strange kind of power that didn’t allow him to oppose her. He would stop her, if her arguments wouldn’t be powerful enough. Her short speech was logical and rational. There was no emotional issue. It was imposing. -How good do you know your uncle? – He asked her. -I don’t know him at all. I heard about him. My father told some stories, but nothing worth mentioning it. – She answered slowly and using all words with purpose. She sounded strange as if she would be far, far away with her thoughts. Marcus Lucius didn’t intend to push her. She told him the truth and it was crucial. He left her alone. She didn’t notice it at first. As she brought up her father, she became nervous. She wasn’t sure what to think about him. She wanted to be sure that Julius had given her to Maxentius with good intentions and not knowing how awful man Maxentius was. Finally, it was her father, a person whom she used to trust and she used to look up to him as if he was a kind of god. His decision was confusing and Julia struggled internally. She tried to believe in Marcus Lucius’s good intentions, but she was too deeply hurt to be able to trust anyone. If the innocence is stolen once, it can’t be given back by anyone. During the ambush, she wished to be killed when she realised that there were chances to die quickly, easily. She could pretend to be the happy wife as she did during the last weeks. She had become a professional liar. 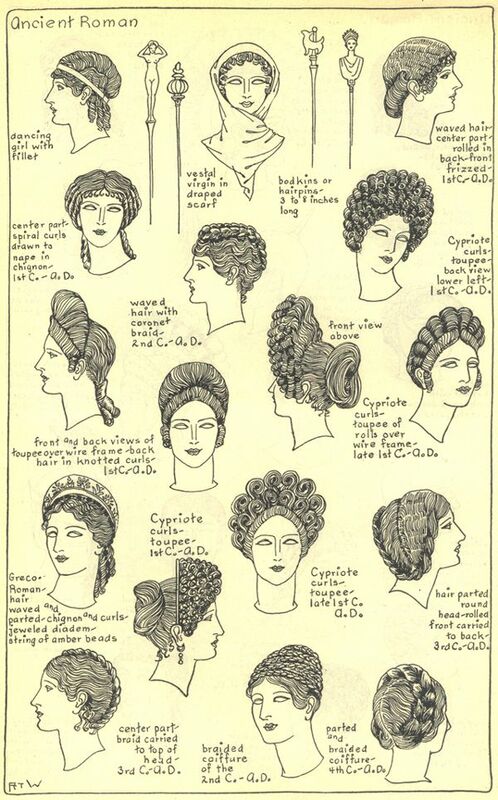 With every day, that passed, it was easier to smile politely and to pretend being the proud Roman woman everyone wanted to see. Even if her internal state got worse with every further heartbeat, it didn’t influence her visibly. However, she started losing her internal colours. The process of fading out was already progressed so far that she didn’t care about staying alive anymore. Earlier, she didn’t want to die and every thought about death was scary. After half a year of a socially successful marriage, her heart was empty and doomed. The worst thing about it was that she didn’t care. She wasn’t scared anymore. The whole world became irrelevant. A kind of recovery happened in the moment, when Julia noticed Maxentius’s evanescent look in the eyes and the sliding walk to the other side of the life. It was a revival for Julia. The lesser life was in Maxentius’s body, the more power she got. As she saw his dead body, her whole plan changed into one big question mark. She was relieved when Appius ordered her to play the game, because she could pretend everything she wanted. She became the great simulator. She was adult and marked by life experience already. While she took care of Marcus Lucius, she was satisfied and happy about his unconsciousness. She even liked the situations, when he didn’t recognize her or called her Decima. It was unimportant as long as she felt safe. She had started living on the reduced level compared to how vivid she used to be until her marriage. However, the amount of power and willingness to live after the ambush was incredibly high compared to the almost dashed off remains of resources she deployed as wife. She discovered a new goal in her life and she was happy as long as she could take care of the wounded man. She didn’t notice when the situation changed rapidly. She was a victim of her phobia, again. As Marcus Lucius helped her stand the journey on the ship, she discovered that he actually cared about her. He didn’t hurt her, even when he had the chance. He was supportive, cautious, nice. She didn’t expect him to be this way. She was sure that all men were bastards without respect for beings weaker than themselves. Analysing Marcus Lucius wasn’t easy. There were so many aspects that could influence his behaviour crucially. He could feel forced to stay straightforward, uncomplicated, truthful so that she was convinced about his good intentions. He could also respect her the way he treated his wife, because he loved Decima. Furthermore, he could act the way he did all his life, because he was that kind of person being really nice and supportive to others. Julia was occupied by the contingency analysis of how much all these possible aspects could have an effect on her situation. She tried to believe in Marcus Lucius’s good intentions, but she was too deeply hurt to be able to trust anyone. If the innocence is stolen once, it can’t be given back by anyone. It’s like a jug that fell on the floor and crushed into millions of pieces. Even by gluing all pieces together again, the jug will never be the same as before. Julia’s heart was overexerted and she wasn’t able to switch back to the safety modus anymore. A shadow of insecurity would always exist in her internal, emotional space until the day she would die. However, by noticing the good in Marcus Lucius, she took giant leap forward for herself. The more people were involved, the more probable leaks became. There was no space for misunderstandings and doubts due to the well-informed circle of people involved in the matter. While he stared at Julia sitting on the floor of the trembling wagon, he started losing his consciousness. The surrounding became blurry, shifted out of focus. Instead of a sad, but still friendly face of Julia, he saw a skin coloured taint with dark strains of hair around it, with light blue speck instead of an average stola, a long, pleated dress, worn over an undergarment called a tunic. 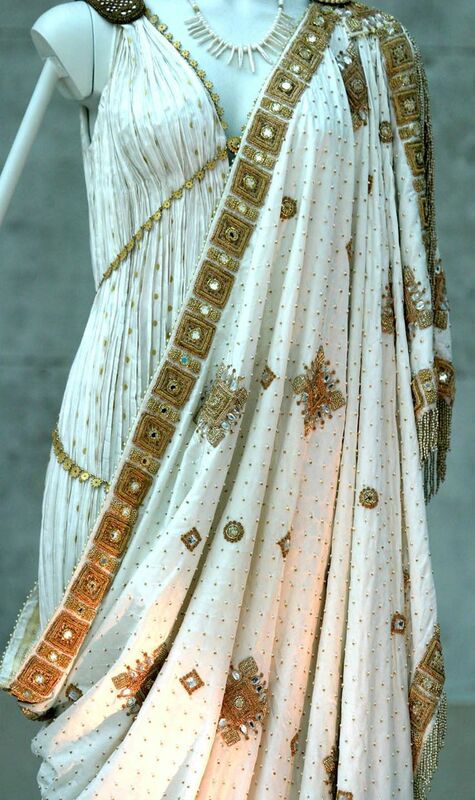 It was the traditional garment of Roman women and corresponded to the male toga or the pallium. Julia wore a version with sleeves and ribbons decorated with dainty ornaments. Marcus Lucius wasn’t able to see the tiny little patterns anymore. The patterns made the dress unique and showed the high value of it. Seeing the blurry spots, the dress looked ordinary, like Decima’s dress. He didn’t feel the sweat drops on his forehead and his neck. He didn’t feel neither warmth nor coldness anymore. Having lost his senses, he wasn’t aware how Octavian argued with Julia. It was right after the moment Julia noticed Marcus Lucius’s mental absence. She screamed after Octavian, she wanted him to come back into the wagon and “do something” that could help Marcus Lucius to get better. She yelled Octavian’s name, because Appius ordered her to communicate just with Octavian or Nerva. Nerva was the messenger, who brought letters from Appius, quoted Appius’s utterances and Octavian’s statements. Nerva was always on the run, barely to meet. When he caught up with the convoy during the following weeks, the first thing he had to do was take a rest, he never kept the guard in the first night. He was full of sweat drops, but he smiled, somehow friendly. Whenever he saw Julia, he stopped to talk to her and nodded with his head to greet her. He was apparently quite popular, because everyone wanted to talk with him. He had fleeting talks with every soldier on his way. Julia wondered what they were talking about. He was direct and open, the total opposite of Octavian, the leader of the convoy, the one at the side of Julia and Marcus Lucius on the way to Britannia. Octavian was a tall, well-built legionnaire with blond, short hair and no smile on his lips. When he walked into the room, you could feel his cold, impersonal presence. He had deep ice-blue eyes and was of about the age of Marcus Lucius. He used only as many words as needed and didn’t make use of empty phrases nor as magic words like “with all due respect” or “thank you”. He was in charge of the convoy after the Maxentius’s guards were wounded and unable to travel. With an iron hand, he gave orders to stop or to travel on. It was not possible to judge how much he liked the position he got. He talked more with other legionnaires, mostly with soldiers from Appius’s team. The new guards of the convoy were a mix of Maxentius’s soldiers and legionnaires sent by Appius. Therefore, you could see various groups gathering during the evenings in front of a small fire place, who wished to keep watch together. There were more than twenty legionnaires, but just one of them was the direct contact person for Julia. Between all legionnaires, Octavian and Nerva were the two most trusted persons of Appius. Some of the other legionnaires were from the unit trained by him, but they weren’t involved in the matter and according to the order it should stay this way. The more people were involved, the more probable leaks became. There was no space for misunderstandings and doubts due to the well-informed circle of people involved in the matter. Appius wanted to keep the secret circle closed and therefore, the entire communication should be over predefined persons. Therefore, Julia screamed Octavian’s name as she bowed over unconscious the Marcus Lucius. Hearing her scream, Octavian stepped into the wagon immediately. Julia wondered how he managed to act so fast, but it didn’t concern her as much as the unconsciousness of Marcus Lucius. Additionally, the wound on his chest started bleeding and the bandages turned dangerously, suspiciously red. Octavian jumped over to Marcus Lucius. He pushed Julia aside, ripped off the bandages and looked briefly at the wounds. They had already been treated by a medico on the way, so Octavian knew that it was the last moment to use the old, reviewed methods. Within heartfelt minutes, Octavian arranged the entire convoy to stop. Then, he waited until the camp fire was hot enough to heat an iron spear up until it glowed red. Marcus Lucius stayed in his bed and didn’t change his position. Julia stared, opened her mouth shocked to the glowing iron in Octavian’s hands. Behind him, two further soldiers followed. She was scared, but stepped into Octavian’s way and tried to prevent him from what he apparently intended to do. Book sample: There was a special code between the two of them. Maybe it was due to the fact that they both learned under the command of Appius. As a person who was in love with Julia, he wished her to be happy. His own well-being was secondary matter. Marcus Lucius didn’t follow anyone for a longer while. 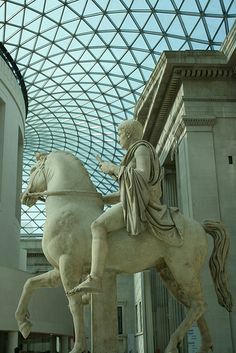 He sat on his horse and contemplated about what Octavian had said. There was a kind of confusion within him that he didn’t know up to now. Normally, he would go with Octavian anyway, without thinking about a girl, he didn’t even know really. He was a dead man already, so he didn’t care about himself. He ignored the strange, unknown pain in his chest. It wasn’t any wound he had. It wasn’t any wound he could ever get from anyone. When he ran out of the house this morning, in the last shadows of the night, all he could feel was the wish for revenge. His past forced him to look back in anger. He wanted to go back to Brigetio, find Quintus and kill him. It wasn’t his wish to kill Quintus in a slow way anymore. Just a simple deprivation of Quintus’s life would be enough, after Julia ignored his presence. She closed the imaginary doors and he needed to open an imaginary window to have an exit in sight. He felt incomplete for no reason. He doubted so many things that he almost freaked out completely. He wondered why all his strategy from the very beginning, was put into question. He loved Decima, but a question put itself into his mind: was it right to go away anyway? He wasn’t sure and this doubt was scary. He didn’t have a free mind and he wasn’t able to decide what to do. Once a doubt surfaced, it didn’t let allow peace of mind anymore. Doubts have a bad habit to sneak up slowly, continuously through the backdoors of subconsciousness. When the suburbia of rationality has already been affected, they conquer the parts of the brain responsible for feeling safe and sure about what a person was thinking. Suddenly, nothing has the same value anymore. The doubt asks your feeling of certainty “Is it sure what you convey?”, then “How sure are you anyway?” and “What makes you feel so sure about it?” follow. The strategy of doubt is to take apart every piece of a statement including its promises and its consequences. Then, putting every detail into question ensues. The cheeky and treacherous way of doubts had brought souls apart. The mills of God grind slowly. Constant dripping wears the stone. The march of doubt is unavoidable. Marcus Lucius couldn’t fight back. Staying in the field, just a few yards away from the house in Britannia where Maxentius and Julia were supposed to live, he thought about the girl he shouldn’t have in mind. Up to now, he tried to ignore her presence and the slim chances of a further coexistence. It was obvious to him that there was no common future for them. He had his reasons and she had her reasons to keep on living a separate life. He had to take vengeance for Decima. She had to go back to Julius Fabius and probably, she would remarry. Everyone had obligations derived from his or her own past. Following the road of obligations was prescribed as a consequence of former actions. After the short conversation with Octavian, Marcus Lucius thought about the circumstances of Julia’s marriage. The seed of doubt was already implanted. 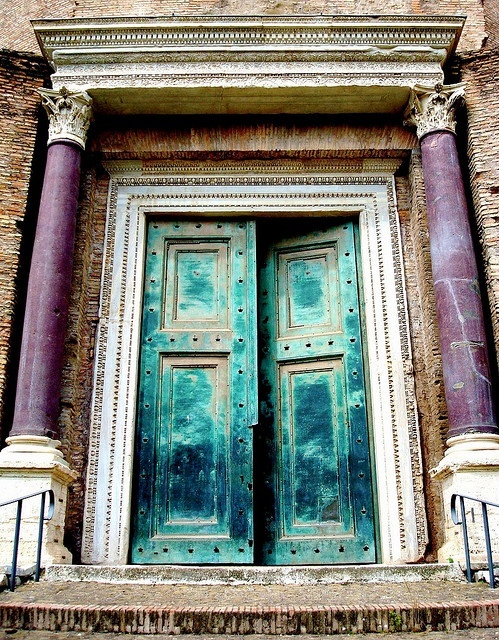 It was indeed strange that her father gave her – of all human beings – to Maxentius. Everybody knew that Maxentius wasn’t the best or even a good match. The members of the Fabii family usually picked potential husbands and wives carefully. They were the best example for using the strategy typical for families with both wealth and political standing, whose largely inherited money would follow both their sons and daughters. It was called consortium, what meant sharing of property, usually used in a technical sense, but also in the context of marriage. Both parties had to be willing and intend to marry, and both needed their fathers’ consent. If all other legal conditions were met, a marriage was arranged. The more prominent her family, the less it was likely that the girl would have much choice regarding age, appearance or character of her first husband. Marcus Lucius knew it, but he cudgelled his brains with the question “Why Maxentius?” It appeared increasingly irrational to him to give up the strategy used for years, and the improbability of this fact, made him think about what Maxentius had to offer to buy into the Fabii family. It was impossible to find out the reasons without a better analysis, without more time. If Marcus Lucius came to Brigetio to kill Quintus, he would reveal at least two points: his existence and Maxentius’s death.